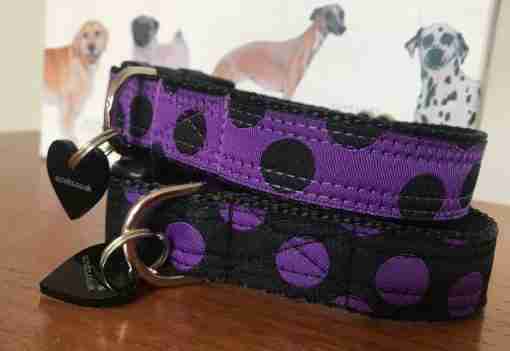 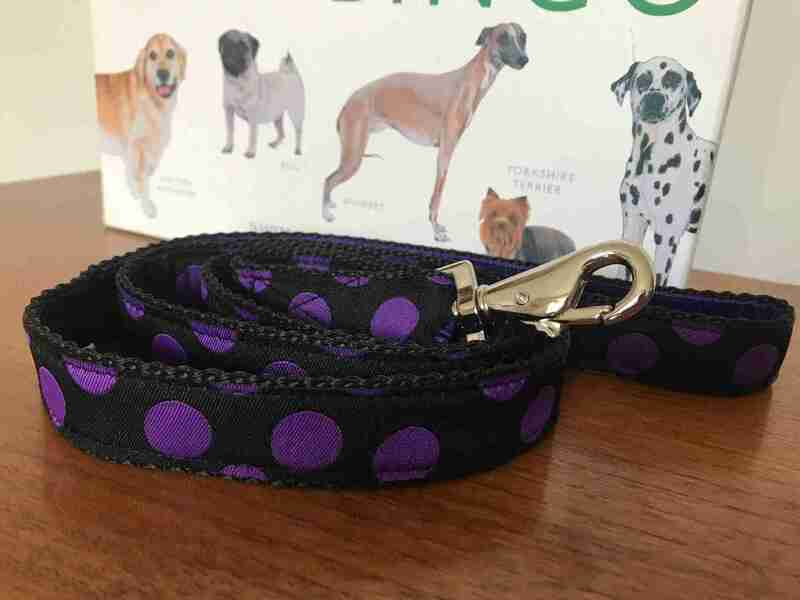 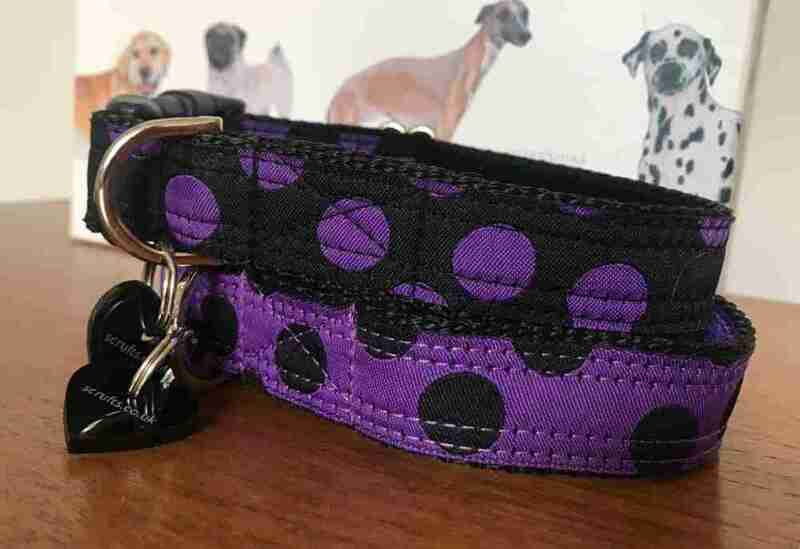 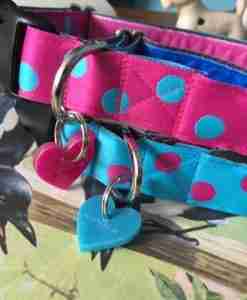 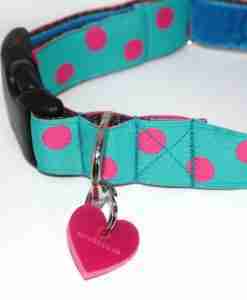 The Charleston Black and Purple polka dot dog lead now has a companion in the form of the reverse colour way in Purple with Black polka dots, so rather lovely if you have two dogs who like to wear similar, but not the same walk wear ! 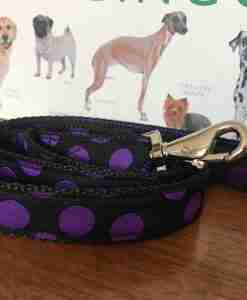 The inner grip of my polka dot dog leads are lined with velvet for a comfy handle and my lead clips are super easy to use, much nicer than the more traditional trigger clip. 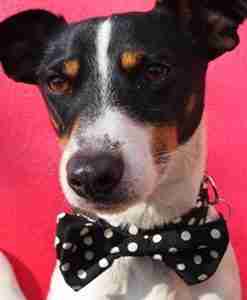 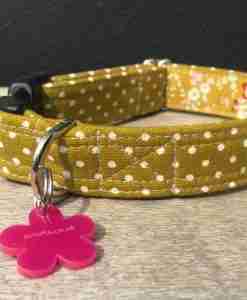 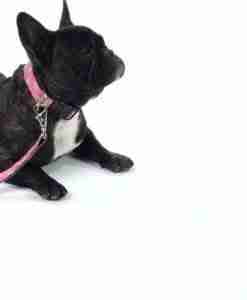 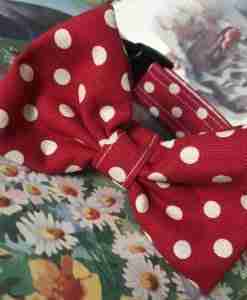 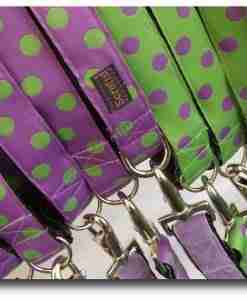 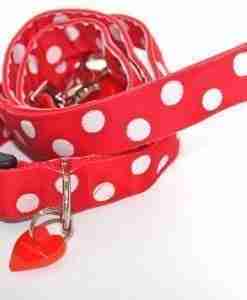 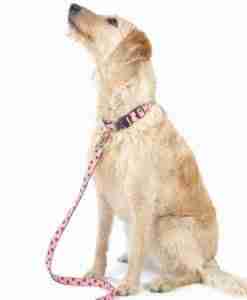 Each Scrufts’ dog lead is handmade with care in sunny Brighton and is fully washable.